If you are on the lookout for an all-season comforter, let’s consider the Linenspa as your comforter of choice. 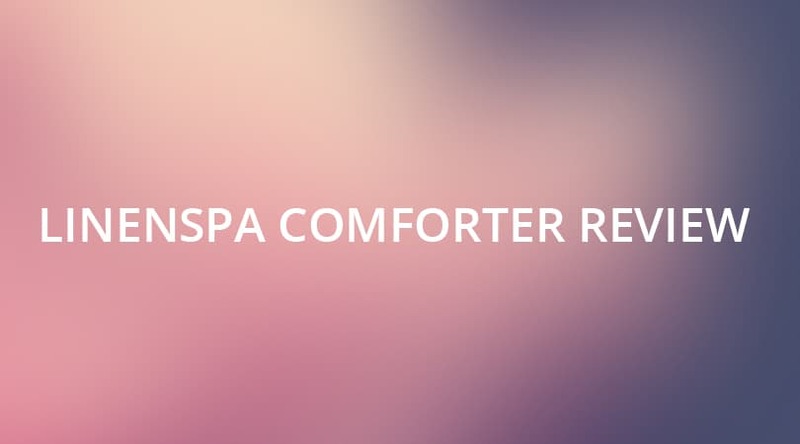 This Linenspa comforter review will inform you about this product so you don’t need to spend hours researching it. This Linenspa comforter is filled with a down alternative material. For some, the appeal is that it prevents heat from building up inside. For others, down alternative material is the most ethical option, as no birds were used in the process of making this product. Down alternative material is also the cheapest alternative. And while this alternative comforter is not as long-lasting as a down comforter, it offers plenty of durability for the price. A comforter is made to fir under a duvet. Many people don’t realize the difference between these two bedding items. A duvet will lay on top of the comforter and provide a decorative effect for the bed. It does not have any sort of insulation against the cold, and is not necessarily made to be breathable. You may want to use a duvet in the Winter, but in the Summer months, just using your comforter for sleeping will do the trick. The Linenpsa comforter is made to provide the user with a comfortable sleep throughout both Summer and Winter temperatures. It will not trap heat for those who get too hot in the Summer. So many have no need to replace their bedding when Summer comes along. The Linenspa comforter is also machine-washable. Some even find that putting it in the masher and dryer makes it come out even fluffier than it was just after the unpackaging. Speaking about unpackaging, customers have noted that it gets packaged inside of a vacuum-sealed plastic wrapper. This helps to lower the shipping costs. Granted, it cannot be put back into the package. But why would you need to repackage it, considering that this comforter is quality-made? The box-stitching on this comforter helps to prevent the interior down alternative from clumping up. It will spread the inner layer evenly for a better sleep. This also helps when you are cleaning it in the washing machine. Customers appreciate the low cost of this quality-made product. The Linenspa comforter is great for all-seasons, as it is breathable while providing enough warmth for the Winter months. We love the fact that it is machine washable and dryer safe. 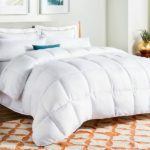 While some prefer to dry-clean this comforter, when you consider that it comes at such a low cost, you can purchase yet another one for the cost of two dry cleaning cycles. However, most find that dry-cleaning is really overkill. We cannot say enough about how solid of a comforter this is. How often do you see comforters sold at this price, while having two different colors (one for each side), box-stitching, breathability, and extra softness. Check out the Amazon links below for current pricing and customer reviews.